Pinnacle Resorts 220 offers a variety of 1, 2, and 3-bedroom suites as well as a 2-bedroom, 2-story loft townhome. Stunning 360° views of the city can be enjoyed from the rooftop pool, voted best of its kind by our guests. The Pinnacle Skybar completes the rooftop area with its swim-up bar and daily happy hour. 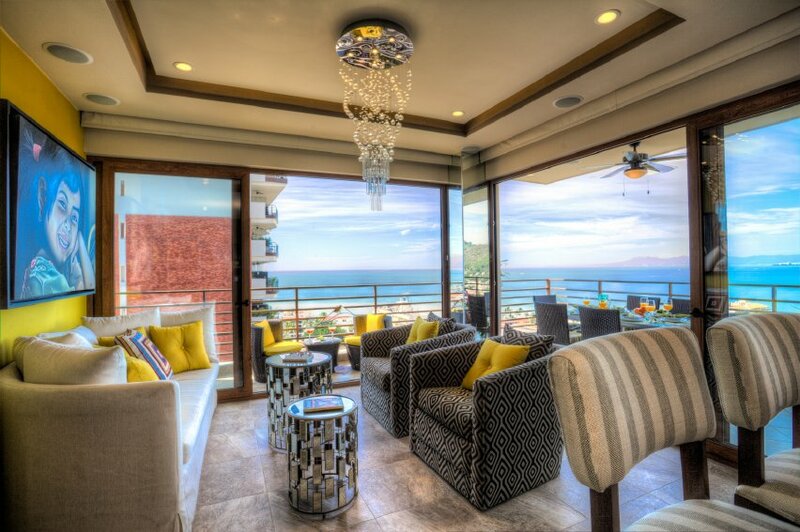 Sit back and enjoy the views and sunsets from the palapas, feeling the warm breeze from the ocean. 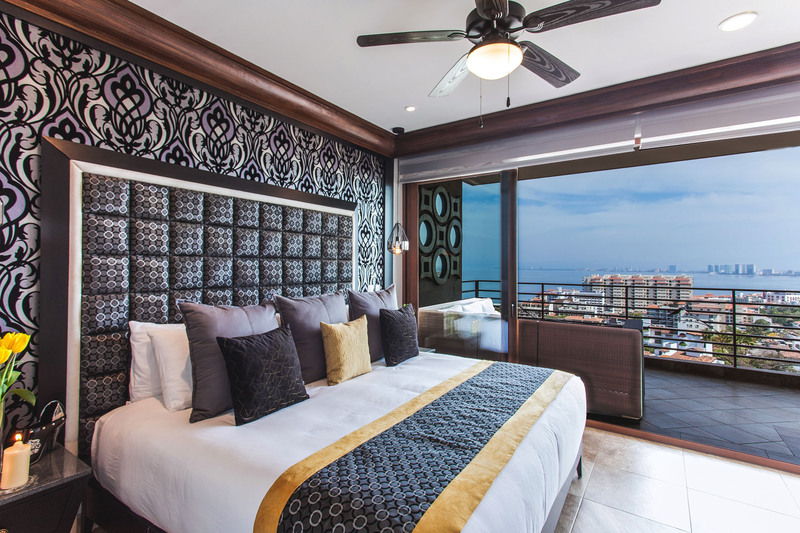 Our Concierge Team would be happy to assist you in discovering and enjoying the best that Puerto Vallarta has to offer including spa appointments, tours and day trips, dinner reservations, shopping recommendations, golf, boat or fishing charters, rental cars, bus information, taxis, or arranging childcare services. Let us help you while you enjoy your vacation at the fullest. 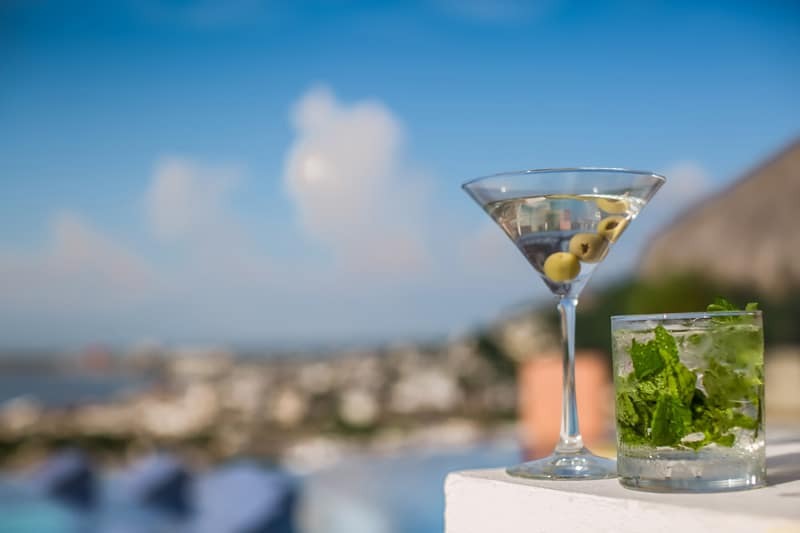 Featuring an impressive list of top-shelf liquors, hand-crafted cocktails, a carefully chosen wine list and excellent service, Sky Bar is the perfect place for a romantic rendezvous or a get-together with friends. Our security staff is on duty 24 hours a day. We also offer additional security services such as a secure electronic key system, gated underground parking and a programmable electronic safe in every suite. Each suite offers one complimentary parking space in our garage during your stay. We offer daily housekeeping service during your stay and can arrange cleaning services around your schedule making for a more convenient and enjoyable getaway. Our guests enjoy complimentary wireless internet service in their suites and throughout the public areas of the resort. 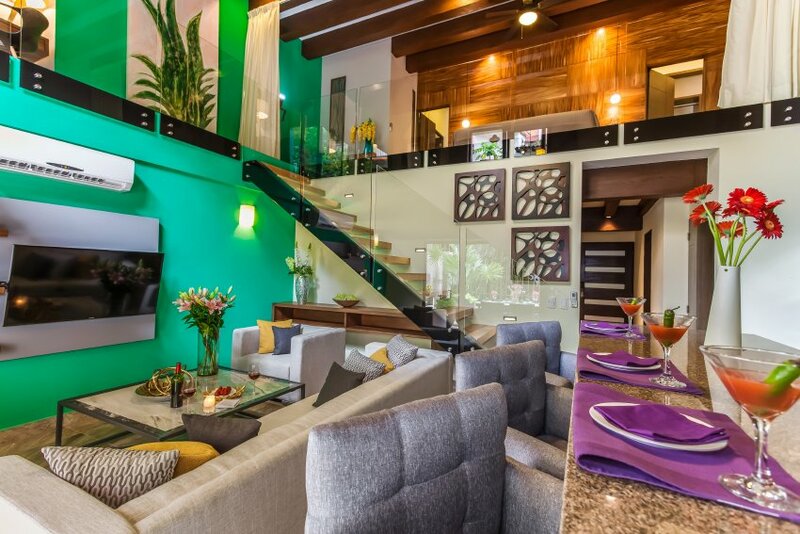 Pinnacle Resorts 220 offers the style and ambiance of a boutique property while bringing guests full resort style amenities. Our staff is dedicated to elevating your holiday experience to the highest level. 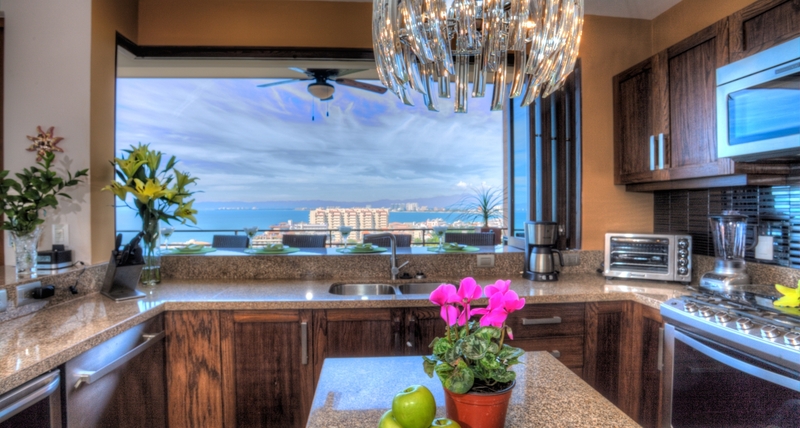 Enjoy arriving at Pinnacle Resorts 220 Suite with a pre-stocked kitchen with all of your favorite foods and beverages. Contact our Concierge at concierge220@resortsbypinnacle.com for full details on our shopping service. For those looking to stay active during their vacation, our Gym offers state-of-the-art and a stimulating environment for an excellent workout. If you would like us to arrange private, air-conditioned airport transfers, please contact our concierge at concierge220@pinnacleresortspv.com or request Transportation Service when making your reservation using our online reservation form. For the comfort of our guests, Pinnacle Resorts 220 has the following policies in place. Should you have any questions regarding these policies, please contact us. 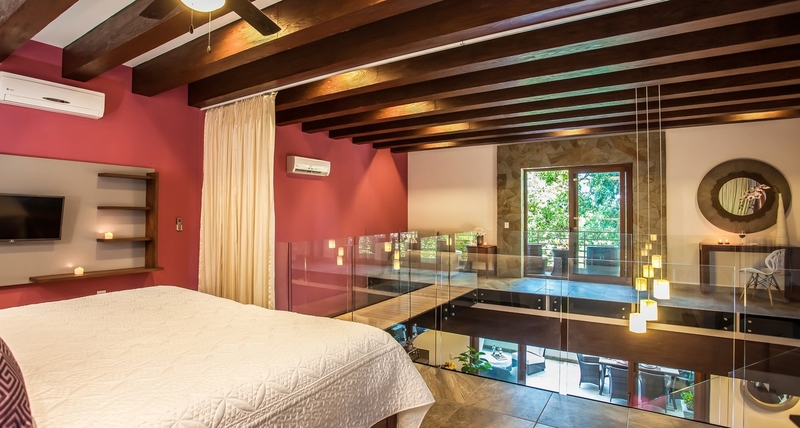 and style of a boutique hotel combined with full resort style amenities and services. 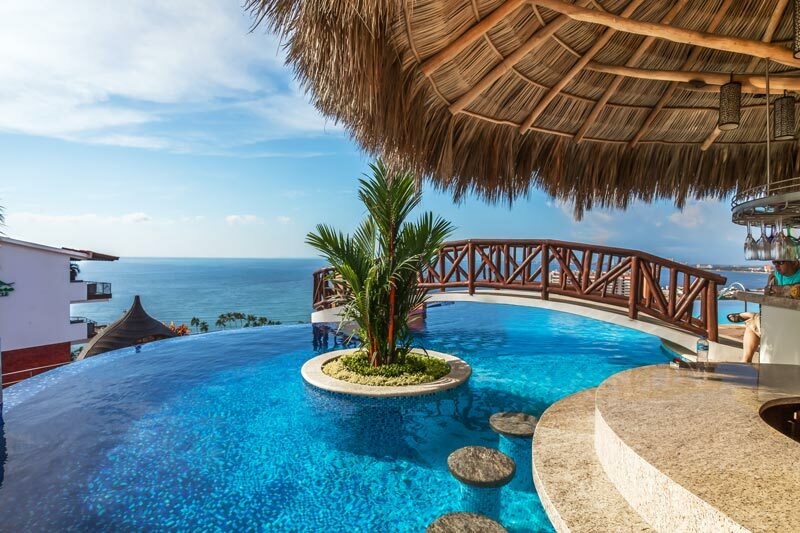 you expect for your 5-star vacation experience and the service levels that you deserve. 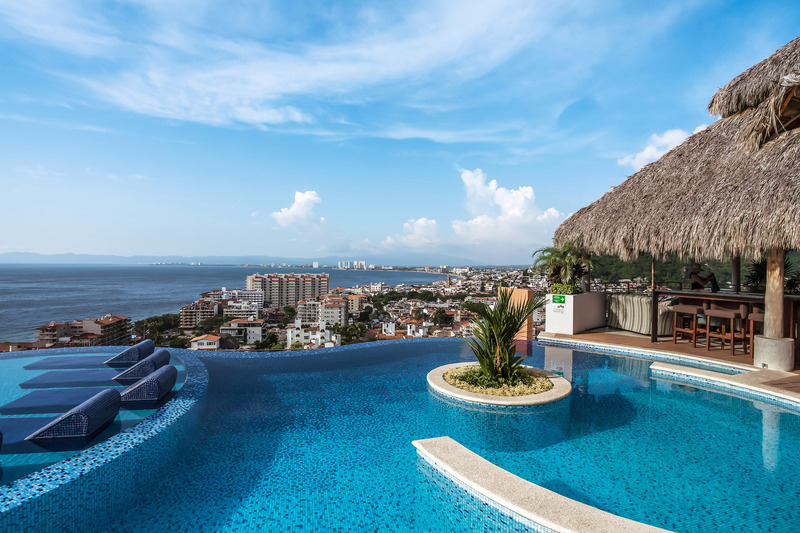 High above Puerto Vallarta, you’ll find your bliss at our Rooftop Infinity Pool. 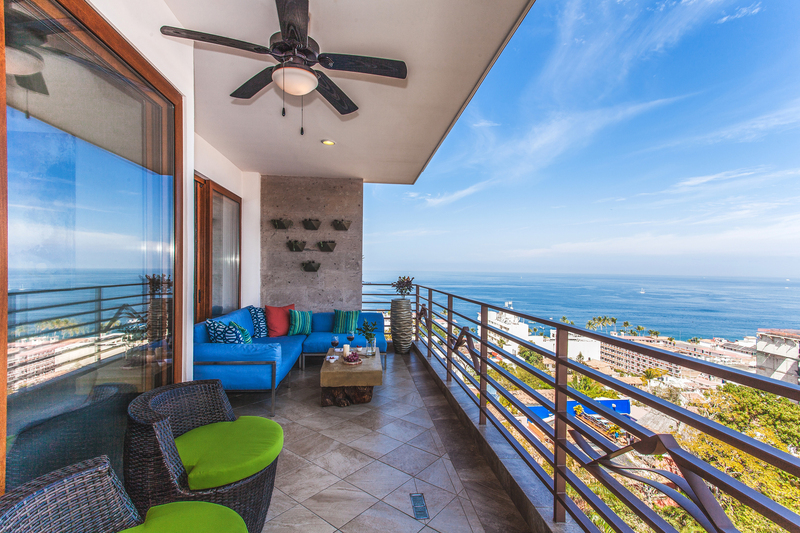 Located on our rooftop, there is simply no better place to enjoy amazing views of Banderas Bay, day or night. 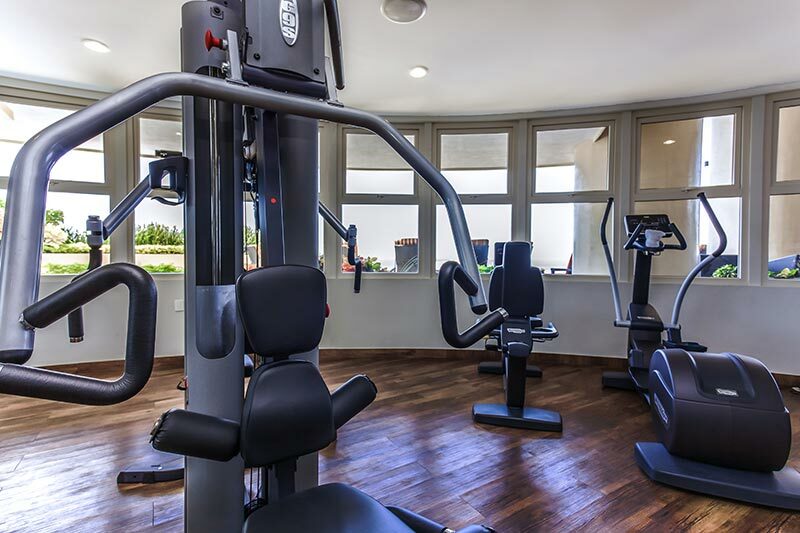 The Gym brings top-of-the-line equipment and an inspiring environment to keep up with your fitness routine during your stay. Pinnacle Resorts 220 provides both the comforts of home and the luxurious concierge services of a 5-star resort. Choose your favorite 1, 2 and 3 bedroom suite or stay in a 2 story, 2 bedroom townhome. Guests will enjoy complimentary wireless internet in all of our suites for their convenience. 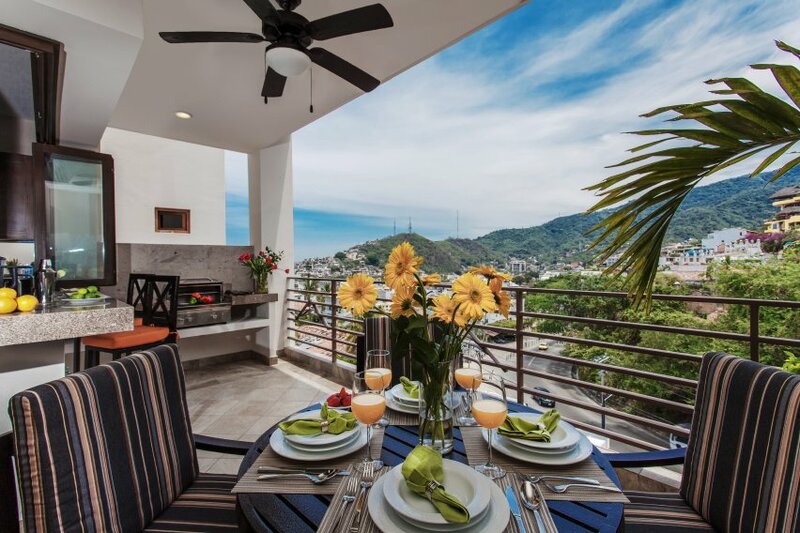 Other in-suite amenities include full-sized washing machines and dryers, fully equipped kitchens and large terraces with covered bar areas and barbeques to enjoy dining al fresco while enjoying beautiful views of Puerto Vallarta and the indoor-outdoor lifestyle.